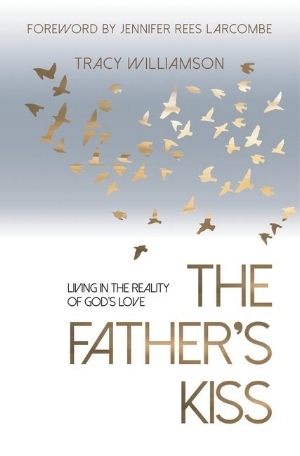 Read the true stories of how God impacts lives. Be inspired by how God lets ordinary people help him accomplish great things. Going to Africa would cost April everything. She went anyway. From a young age, April Holden was diagnosed with chronic health problems that restricted what she could and could not do. Growing up in St. Helens, Merseyside, April was a frail child who knew pain and resistance her whole life. But, at just seven years old, she came to faith and was convinced that God had called her to leave her home behind and move to Africa. When in university, she was finally old enough to apply to work with street children in Africa, but was turned down. That didn’t stop her. Nothing would. After training to become a teacher, April applied again to leave the UK behind, and serve God in Africa. This time she got a step closer to her calling; she was sent to Egypt for training. Soon after, her chance came. She transferred to one of the most tumultuous, war-torn regions of North Africa. There she set up homes for boys scarred by war, fleeing violence, seeking safety. There she God do the impossible and offer a beacon of hope in an area of conflict and fear. She also saw her own life thrust into danger as political shifts had turned many of the population against anyone who looked like her, like the American forces that were now invading. After escapes that were too close for comfort, April returned to the UK. But her work wasn’t finished yet. When Mary Kissell committed to getting up early every morning to spend time in prayer, she began a practice that would revolutionise her life. This rich and moving memoir tells the incredible story of how simply following the Holy Spirit's leading saw countless people impacted around the world and the most heart-rending situations transformed. Zac's Place is a church in Swansea. It is a small chaotic community of Jesus followers where the most fragile of life's walking wounded try to work out their faith, because they quite simply wouldn't fit anywhere else. It's also the spiritual home foor the local chapter of the motorcycle club God's Squad. Zac's Place was founded in 1998 and for nearly twenty years has been led by Sean Stillman – a "painfully shy, nervous preacher's kid" – whose front-line ministry, at Zac's Place and on the road, has cost him dearly, including physical beating. In Zac's Place, chaos and disorder sit alongside community and grace in an environment that sometimes resembles an AA meeting mixed with a casualty department. This is Sean's personal story of a transformed faith alongside the broken, the story of the church he started and the European-wide growth of an unlikely bunch of biker missionaries. The thread that will run through it is the 'greater righteousness' that Christ was looking for - what can happen when our concern for the perfect performance is stripped bare and replaced with poverty of spirit. Andrew White served as the Vicar of St George's Church until when, in 2014, he was forced to leave the Church for his own safety. This was because St George's Church was the only Church in all of Baghdad.This is the extraordinary story of the man who became the vicar of one of the most violent, war-torn and tumultuous cities of modern times. Told with equal amounts of compassion and charm, My Journey So Far is an inspirational account of everything that led him to leading the only church in Baghdad. From his early life in a suburb of South-East London to negotiating in the Bethlehem siege of 2002, and beyond, Andrew White's inspiring life has always been fuelled by a love of people and a passion to bring peace and reconciliation. Whether it's in Israel, Palestine, Jordan, or Iraq, Andrew White is determined to step into conflict and bring God's peace. Called to compassion, Katie Davis Majors' story is like no other. When she was just in her teens, one average teenager stepped out into a life that was anything-but-ordinary. Packing her bags, she swapped her home for Uganda, and adopted 14 children from the war-torn country. The story of her unique mission for motherhood, Kisses from Katie, was a bestseller, and moved readers to follow their hearts for helping others in God’s name. Now, 10 years after her move to Uganda, Daring to Hope is the next chapter in Katie’s story. To order these or any other books call 01392 427171 or email sales@bridgebookshop.co.uk. Visit the shop to view our full range of biographies and autobiographies and hear how God is working in the world today.